Nicole Zhang has a strong pedigree in golf and currently plays on the Symetra Tour. But she also has a strong pedigree in business and has already created a product and founded a company to sell it. For now, Nicole enjoys following both paths - golf and business - simultaneously. But it's not always easy, and at some point she'll probably have to choose between the two. 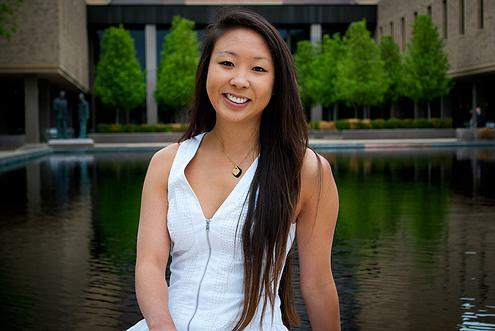 The company Nicole founded before even graduating from Notre Dame's business school is called Yogapeople and it makes yoga mat bags - colorful, attractive bags "that reflect the beauty of yoga." Nicole will also be "launching an app that has a social mission," she told Golf Babes. It's an app (due this Fall) that helps people give back to local charities with the help of corporate sponsors. "My hope is that the app will get people more involved with charitable work, and also provide much needed funding to many of the smaller charities in our communities," Nicole said. And if that's not enough off-course work, Nicole also does consulting work for her father, who is the managing director of a company in the oil and gas industry. Nicole's father, Charles, immigrated to Canada "with $20 in his pocket," she said. "There is so much that I can learn from him, and now is the time to do so." Nicole was born and raised in Calgary and started playing golf at age six. It wasn't long until she was beating the local competition, and a terrific junior and amateur career began. It eventually led her to the Notre Dame golf team (she also briefly competed at Northwestern). Zhang posted one win in college and played her way into the 2010 and 2013 U.S. Women's Opens. In her college victory, Nicole set a tournament scoring record and the Notre Dame school record for lowest 54-hole score. Nicole turned pro last year and so far on the Symetra Tour in 2015 has a best showing of 15th. And just how does she manage to run Yogapeople, develop her app, consult for her dad and keep her golf game sharp all at the same time? It isn't easy. "To be honest, I thought it would be easy to balance business and golf, but in reality, it's quite challenging," Zhang told us. "The toughest part is managing my stress. "When I'm at home (during off-weeks), I spend about 90-percent of my time on business and 10-percent on golf, as this is really the only time when I'm able to meet with my business partner, potential customers, and have access to resources. When I'm on Tour though, it's the opposite - 90-percent on golf and 10-percent on business. "I need to work extra hard during tournament weeks since I don't practice much during the off-weeks." Nicole isn't yet ready to focus entirely on business, but that time might be coming. "I really enjoy competing in golf, but I love working on my companies more," she said. 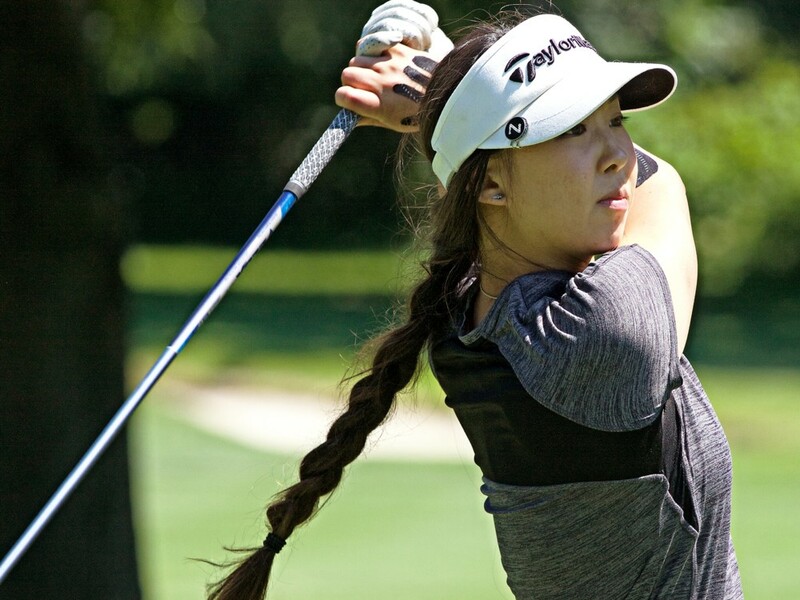 You can follow Nicole's journey on Twitter (@lemmezhangit) or at nicolezhanggolf.com. And if you're into yoga, check out her company at yogapeoplebags.com.